Are You Searching For Expert and Reliable Personal Injury Lawyers For Your Truck Accident Claim Or Wrongful Death Claim of A Loved One Who Was Killed In A Tragic Truck Crash? In 2010, the percent of unrestrained passenger vehicle occupant “teenaged” fatalities was 41 percent. Truck and other motor vehicle accidents can cause serious injuries and sometimes fatalities. Our Valley Glen truck accident lawyers provide expert legal services for those injured in truck, car, motorcycle or any other kind of truck accidents. We extend our legal services to relatives and families of those killed in fatal accidents and need assistance with wrongful death claims in Valley Glen and nearby North Hollywood, Studio City, Van Nuys, Sherman Oaks, Encino, all of the San Fernando Valley and Los Angeles. Our truck accident personal injury attorneys focus on all types of trucking accidents including tractor trailers, 18 wheelers, semis, and large pick-up trucks and vans. We ensure our clients aggressive representation, clear advice and acquiring maximum compensation for their truck accident and any other personal injury claim. If you need a consultation, it is FREE & CONFIDENTIAL. All you need do is call us at 818-222-3400 or 1.866 INJURY 2 (after hours dial 1) or simply click here for our 24/7 FREE consult intake. To know more about our lawyers, feel free to check our lawyer profiles and our personal injury & wrongful death testimonial pages. About Valley Glen, Los Angeles, Calif.
A highly diverse community in the southeastern portion of the San Fernando Valley in Los Angeles, California, Valley Glen interestingly has half its residents born outside the United States. Valley Glen is home to its own community college, seven public schools, including a high school and six private schools. Valley Glen also is known for a half-mile-long California history mural painted on the side of a flood control channel. 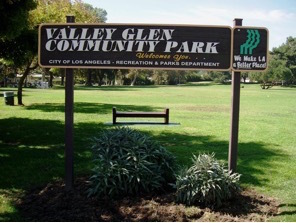 Nearby places to Valley Glen include Sun Valley, North Hollywood, Toluca Lake, Sherman Oaks, Panorama City and Van Nuys. Because of its massive size and weight in comparison to a car’s size and weight, accidents involving a truck, tractor-trailer or any other commercial vehicle can be devastating. We possess more than 40 years of experience in resolving truck accident and other personal injury claims in Valley Glen, the San Fernando Valley and all of Los Angeles. Our personal injury attorneys understand that filing a truck accident claim is more complicated than a car accident claim, as it requires compliance with truck safety regulations, certain DMV and insurance rules and procedures, etc. So, if you were injured in a truck accident or car accident in Valley Glen, Los Angeles, or someone you know was injured, suffered a debilitating injury or was even killed in a truck collision and has a pending wrongful death claim, please contact us now for an absolutely FREE & CONFIDENTIAL CONSULTATION AND CASE EVALUATION. For a quick and easy way to contact us 24/7, simply click here to fill-out your case details in our contact us form. You can tell us all about your truck accident personal injury case or other injury accident. Our legal experts will get back to you as soon as possible! We suggest you do NOT give any statements until you first confer with us. There are strict time rules, so please do NOT delay. We provide FREE consultations and we work on contingency fees on accident injury cases so there is NO FEE until WE WIN!